It's official; universities are honing in on Instagram in 2019. To kick start the year we've explored hundreds of Instagram accounts to compile a round-up of some of the best out there and what they are doing to stand out. 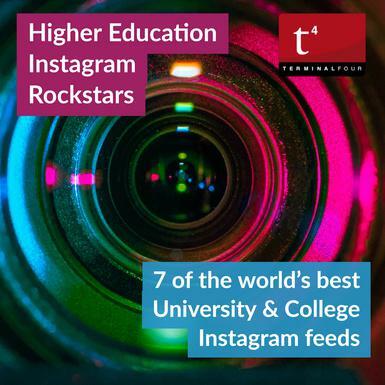 With over 1 billion active users worldwide it’s no surprise Universities are putting their energy into Instagram to attract students, and shifting some marketing effort away from creating organic content on Facebook and other platforms. The data shows this too as we saw a strong increase in Instagram engagement in our 2018 Higher Education Digital Marketing & Web survey. Instagram's popularity among university teams for driving engagement has increased by a staggering 200% since 2016, according to our research. A third of institutions surveyed expect Instagram to be the main platform they focus their efforts on this year. The shift to Instagram makes sense. It provides an authentic view of the campus and city and insights into real student life. It's also highly visual and the functionality remains streamlined. 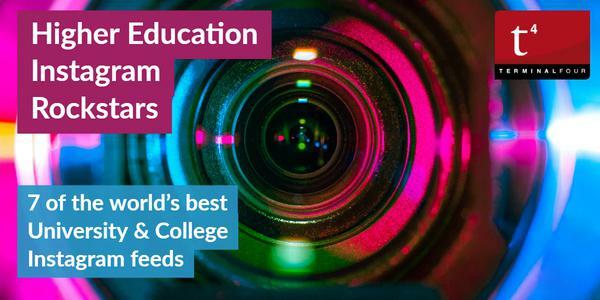 If your university has its sights set on boosting its Instagram following this year, here is our roundup of some of the best university Instagram accounts out there and what they’re doing to stand out. The University of Oxford has shifted its content towards alumni quotes, podcast clips and student stories to great effect. The content is unique to the University, showcasing the depth of research and insights and providing a valuable access point to quality content. It is hard not to love the elegant photography on Colorado State University's feed. The University makes the most of its superb landscape by showing off how it changes through the seasons. There are also plenty of people shots interspersed with the buildings and scenery, giving the account a strong personality. Sydney University describes its Instagram account as 'our campus through the eyes of our students, staff and community's and it delivers both in terms of diversity and interest. Shots include illustrations, activities, buildings from unique angles and even spiderman dressed in a bright yellow coat roaming around campus. Sunsets, panoramic shots, aerial photography, pets and unique products displayed on campus all add to the fun and unique identity of this account. ANU has focused on capturing the joy and sense of achievement from its graduation ceremonies. Elsewhere it shares fantastic scenery, inspiring sunsets and architectural highlights. Featuring content from the community submitted through the hashtag #ourANU has resulted in a diverse, engaging feed. The UoM Instagram feed is a great brand-enhancing channel. The distinctive M appears in hundreds of events and moments captured in snapshots of student life. The focus of this account is student profiles but what makes it stand out is the quality of portraiture. Each profile is beautifully shot in different areas around campus and the city. They’re accompanied by a quote from the student, a description of them and their area of study. An online form lets students either nominate themself or nominate a friend to be featured in the feed. Dominated by inspiring cityscape images, timelapse footage and historic buildings, students will get a real buzz about the city of Newcastle and everything it has to offer from this account. Newcastle University’s Instagram also features great people profiles including students, tutors, local heros and visiting celebrities such as Will.i.am. These examples show a growing sophistication in terms of content and photography in university Instagram feeds. The use of great photography and creative captioning looks set to continue with many institutions now having a dedicated role or team to grow organic social media engagement and following. So, will Instagram be your university's social media channel of choice in 2019? What approach will you take to stand out from the crowd and grow your following?